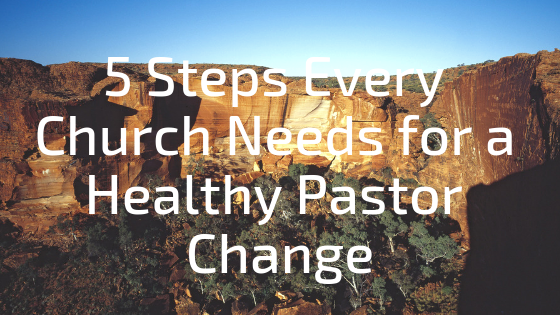 Over the past five years, the church I serve has gotten consistently worse at small groups. We have a hard time finding leaders, and when we do have leaders, they have a hard time getting people to show up to their group. So, you may be asking yourself, why should I listen to any thing this guy says about groups? I’d be better off reading the blog of someone whose church has over 100% of their congregation in small groups and who doesn’t even take up an offering because their church is so generous. Good luck with that. For everyone else whose church is struggling and who has real problems getting people connected, read on. If you’ve been reading this blog for a while, you are probably aware of my frustration with groups. There have been many times I’ve been ready to give up on them. If people don’t want to grow in their spiritual walks, then I can’t force them to. That’s true, but there seems to be something missing in our church when we’re not doing groups well. New relationships aren’t formed, and old relationships aren’t strengthened, which means the family of God isn’t as close as they could be. And because of this, people are less likely to serve, to give, or to even show up. That’s a problem, and one that needs to be solved. It seems like small groups are the logical solution. So, how can we do it better? Here are a few things we plan on trying. We’re asking every staff member and leader to lead a group. This seems so obvious, but without accountability it’s easy to let it slip. Yes, our staff and leaders are already very busy but so is everyone else. And if our staff and leaders aren’t making groups a priority in their lives, you can guarantee no one else is either. We’re allowing leaders to choose the times that work best for them. 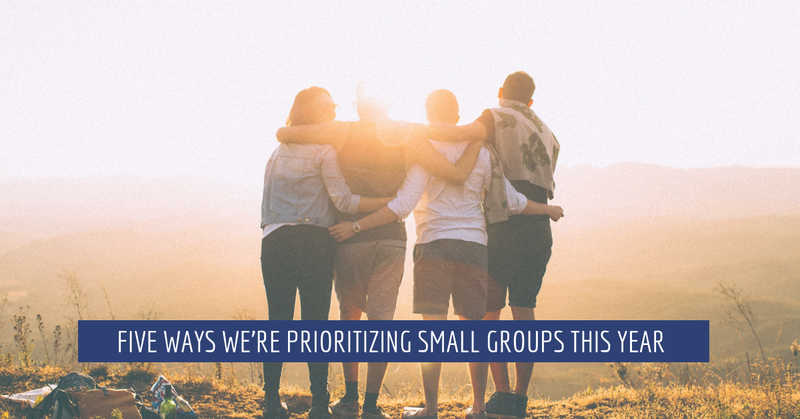 Semester based small groups are good since you can promote them all at once, but they don’t always work with everyone’s schedule. For example, if you have a child involved in football, then it may be hard for you to lead or attend a group in the fall. You’re busy enough during that season. So, while we’re not completely going away from semester based, we are allowing people to lead groups at times that work best for them. We’re talking about groups more often. In the past we would talk about groups about a month before each semester began, and then you wouldn’t hear anything else about them until the next semester was getting ready to kick off. This year we plan on finding some new and creative ways to talk about groups throughout the year. We’re offering free childcare on certain nights. 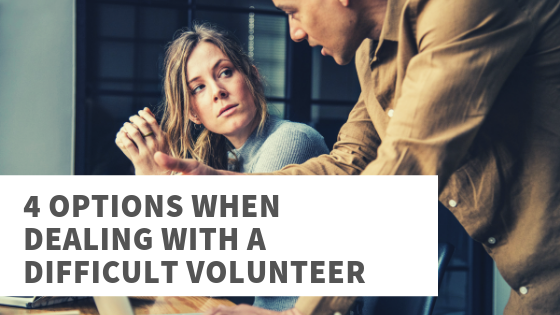 One of the biggest concerns for most group leaders is, what do I do with the kids? With two young kids of my own, I can totally relate. To help alleviate these concerns, we’ll be offering free childcare on Wednesday nights at our church. This will cost the church some money, but I believe it will be worth it in the long run. We’re evaluating ourselves monthly. 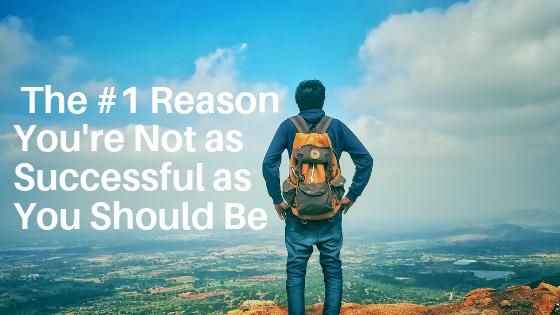 In years past, we may have talked about some of our struggles to find group leaders or get people to attend, but it was just a few times a year and we never did anything about it. This year we’re looking at our group numbers every month, and if we don’t like what we see, we’re taking action. Do you have the secret formula for making groups work in small town rural settings? Or are you just as frustrated as me? I’d love to know. Share your thoughts in the comments below. 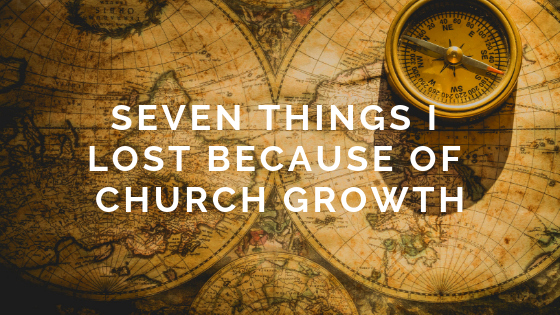 And while you’re here, don’t forget to subscribe to learn more about church growth, leadership, and the frustrations that come along with it. We’re pretty new at small groups in a rural church, but one thing that’s working for us so far is we have a different one of our group leaders co-host our Sunday services every week. This has allowed people to see the group leaders personalities, allowed them to share group stories, and keeps groups in front of people every Sunday. Aaron, that’s a great idea. When you say co-host, what exactly does that entail? What about the leaders who aren’t good in front of crowds?